It was a fun and fulfilling day with awesome SAP colleagues assembling baby care bags with There With Care. As the volunteer lead, I was grateful that 13 out of the 14 volunteers from SAP turned up to work on this good cause. 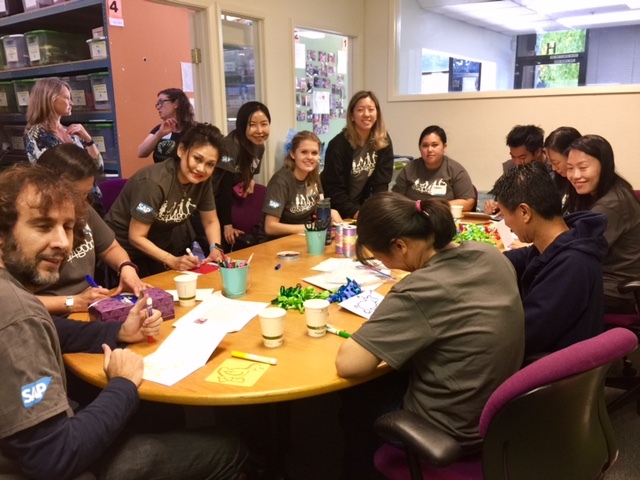 SAP was connected to There With Care through HandsOn Bay Area, an organization that creates awesome volunteer opportunities to connect cool companies and people like us to schools, parks, and nonprofits that need our help. We were divided into four teams to assemble four gigantic baby care bags that contained clothing, baby essentials, and toys. Everybody put their best effort forward to sort out the items given to us and then assembled them into a care bag. These bags are then presented by There With Care to families with premature babies when they leave the hospital. SAP colleagues also created greeting cards with stencils and pens for each of the baby care bags. The premature arrival of babies with critical illness throws parents into a traumatic situation where they are often displaced and alone in the 24-hour care of their newborn in the NICU. 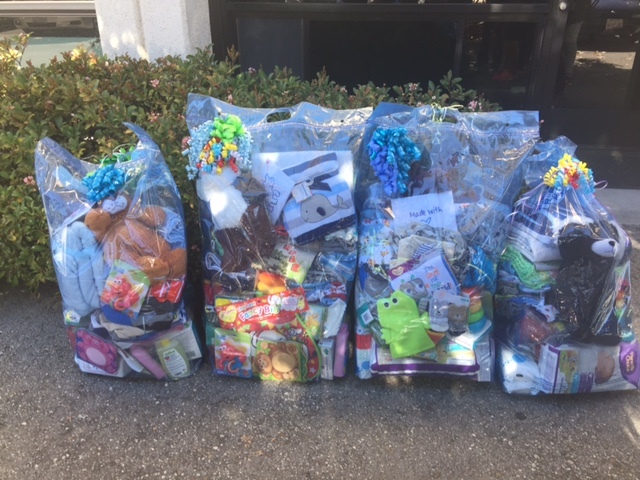 When they leave the hospital they provide a Baby Essentials kit with new or used clothing, books, toys, car seats, strollers, cribs, and other essential items. There With Care’s mission is to provide a wide range of thoughtful and fundamental services to children and families during the critical phases of a medical crisis. They serve families referred by medical agencies, by building a network of services and people who ease the burden of life’s day-to-day obligations with compassion and care. It was an awesome experience to spend time with colleagues outside of the office while contributing to a great cause. Thank you SAP and Month of Service! Mothers to be will need anything, from baby bags and baby bottles to New York Giants jerseys clothes and cribs to taking care of their babies. These products are quite expensive, as a matter of fact, everything that is related to children is expensive, so many of these mothers can not afford them.